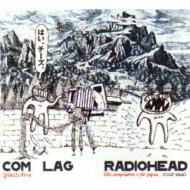 Climbing Up the Walls digs deep and comes up with the cover of the new Japan-only Com Lag EP. As previously reported, the Com Lag EP is a 10-track collection of all the recent HTTT B-sides and remixes. You can preorder it virtually anywhere that sells import CDs.